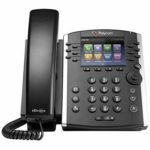 Polycom VVX 301 6 Line PoE phone is an entry-level business media phone that is ideal for busy offices that need crystal clear communication. 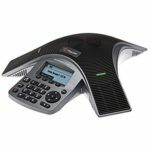 This six-line phone offers handset and headset compatibility, Busy Lamp Field and Shared Call Appearance capabilities, distinctive incoming call treatment and more. PoE ready. (Optional 48V DC power supply not included). 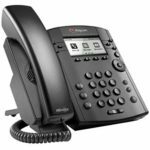 Our recommended phone, the Polycom VVX 401 PoE 12-Line IP Phone is a colorful business media phone that is ideal for offices with moderate call volume that need advanced telephony features. The 12-line phone offers HD voice quality, Busy Lamp Field and Shared Call Appearance capabilities, distinctive incoming call treatment and more. 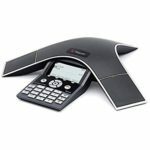 The Polycom VVX 501 is a is a high-performance 12-line business media phone with superior voice capabilities. The device features a touch screen interface, calendar integration, expandable accessories for video and wireless, and unified communications software to connect with PCs. 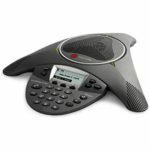 The Polycom SoundStation IP 5000 PoE is perfect for the small conference room. 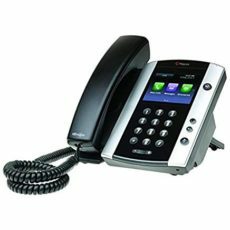 This one-line phone features speed dialing, a distinctive ring, a backlit LCD display and power over Ethernet. 20-foot (6-meters) microphone pickup. Even more with optional expansion microphones or multi-unit connectivity reaching all corners of the room. Ready to request a quote? Or want to see a demo?